Nerencom provides the technical expertise and project management skills needed to ensure that your new telephone system is effective. Nerencom can attend to all your telephone equipment needs, including traditional PABX, Key Systems, Handsets, Conference Phones, Headsets, Cordless Phones and much more. Nerencom provides a multi vendor portfolio ranging from solutions for small and medium enterprises through to large businesses. Our range of carefully selected technology partners includes Nortel Networks and Avaya, allowing us to generate vendor independent, best-of-type solutions. We utilize the different types of systems available to best match our client’s needs. This philosophy ensures our clients receive a flexible, future proof solution that enables them to adopt new technologies at their own pace. 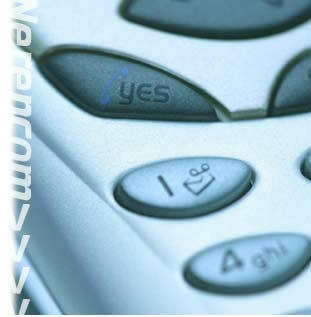 Nerencom is a specialist in Converged/VOIP solutions. Converged telephony is providing increased network efficiency and cost savings. Voice Over Internet Protocol is very much the buzzword at the moment. In simple terms it allows for the successful passing of both data and voice through the same communications network. Although the benefits of VOIP do not apply in all situations, many organizations are able to make significant cost and time savings through this technology. What ever is the right solution for your organization, Nerencom delivers industry leading solutions that boost business performance and gain users a competitive edge.